The mainstream wine media may not pay much attention to it, and the three-tier system may consign it to retail and restaurant oblivion, but over the last couple of decades, regional wine has rooted itself in all 50 states. There are 2,765 wineries in the 47 states that aren’t California, Washington and Oregon, according to 2010 figures compiled by Wine America — almost as many as are in California. Regional wine’s growth has been spectacular; there were just 217 wineries in 34 states in 1975. Yet more impressive is that regional wine has done this mostly by itself, and despite obstacles that would seem insurmountable. Most consumers aren’t aware of it, and those who are know that it stinks — and they don’t even have to taste it to say so. Much regional wine is made with grapes that hardly anyone has ever heard of, and the people making it are often just a couple of years removed from using their garage as a winery. Most importantly, even though the regional wine business is just 20 years old, it is being held to quality standards set in places like California, with some 100 years of experience, and France, with 500 years. So of course it’s going to suffer in comparison. The question, then, should not be, “Why isn’t regional wine better?” It should be, “How did this happen, and what does it mean for the wine business?” Because regional wine may well lead to something that seems impossible — the democratization of wine, in which consumers drink whatever they like from wherever they like, without interference from the wine magazines, wine retailers, or the three-tier system. In the 19th century, regional wine was the only U.S. wine. The Ohio River Valley, in the decades before the Civil War, made sweet and sparkling wines that were favorably compared to Germany’s Rhineland, and Missouri produced world-class wine in the last quarter of the century. But that didn’t last. Pests and disease did in the Ohio industry, while Prohibition is usually blamed for Missouri’s demise. Yet something else was at work, as Todd Kliman has noted in The Wild Vine, his top-notch history of the norton grape. The U.S., even during Ohio and Missouri’s heyday, was not a wine drinking country. Yes, Ohio and Missouri wines were recognized for their quality, but it was only a tiny fraction of the population that noticed. Americans who drank spirits outnumbered wine drinkers by more than 15 to 1 in 1870, according to figures compiled by the National Institute on Alcohol Abuse and Alcoholism. Prohibition, despite the damage it did to the wine business, was aimed at beer and whiskey, and there’s no reason to believe that the regional wine business would have been anything more than what it was even without Prohibition. In this, the seed for modern regional wine was planted in California. Its success over the past 30 years has given consumers grocery store access to inexpensive and well-made wine. In addition, the popularity of California wine has helped establish a fledgling wine culture in the U.S., and part of that culture is curiosity about different kinds of wine. This has boosted regional wine more than most people realize. The Wine Market Council, which tracks consumer drinking habits, has found that more than half of what it calls core wine drinkers who don’t live in California have tasted wine from the state where they live. Which means Ohioans have tasted Ohio wines, North Carolinians have tasted North Carolina wines, and so on. The irony, of course, is that the California-inspired wine culture brought with it most of the problems that regional wine faces. Regional wine does not taste like California wine, which is what Americans have been taught wine should taste like. Regional wine does not always use the grapes that California wine uses, which are the grapes that Americans have been taught wine should be made with. And regional wine is not part of the agenda of the mainstream wine media, , the magazines and influential critics who do the teaching and who have spread the gospel of the California wine culture. This Winestream Media rarely write about regional wine, and its occasional reviews can be backhanded at best. There are many reasons for this, but it’s enough to know that regional wine doesn’t fit into the idea of the California wine culture. Downstate Illinois is not the Napa Valley. It’s also not easy to sell regional wine, thanks to the complexity of the wine marketplace, (which is vastly different from the marketplace for any other consumer good), and the role of the three-tier system. The three-tier system does a reasonably efficient job of distributing California wine, but is completely unsuited to distributing regional wine. Most regional wineries don’t produce enough wine to benefit from three-tier, and even when they do, the system is so complicated and cumbersome that it’s often more trouble than it’s worth. Complicating matters further is that most regional winery owners seem to be doing wine as a second career (a 2007 study found that in northeast Ohio wineries, 70 percent of the principal managers were 50 or older). So while they may know much about software or financial services or the law, that doesn’t prepare them for the economics of the wine business. All of this may be true, say regional wine’s critics, but all of these problems would go away if regional wine was better made. This is the critical mantra, from both consumers and the Winestream Media. Regional wine is too expensive to offer value. It tastes funny. It’s too sweet. Yes, too much regional wine is poorly made, but a lot of it isn’t. But critics don’t dismiss French wine because of quality problems in the Languedoc, and consumers who turn their noses up at traminette will drink vinho verde. And overpriced wine is a world-wide problem, as the Australians will be happy to explain. Yet there are almost 2,800 regional wineries in the U.S., so something must have gone right. • Wine tourism. Ask regional winery owners and trade group officials what has made the biggest difference, and this is the first reason they give. Americans want to visit wineries, and they don’t care that the wineries aren’t in California or France. In The fact, that regional wineries are more easily accessible — a day trip vs. a plane reservation — seems to be a major drawing card. A 2007 study by MKF Research found that Michigan, Texas, Pennsylvania and North Carolina each had more than 800,000 winery visits in 2005, with tourism-related revenue totaling well into nine figures between the four states. • Government support. Every state offers financial support to its wineries and grape growers. This is a public policy decision, usually approved by state legislatures, that is designed to reinvigorate declining rural areas and to support wine tourism. The Indiana Wine Grape Council, for example, oversees about $450,000 in spending each year, funded by a nickel of the state’s 47 cents a gallon excise tax on liquor. The money goes for marketing and viticultural and enological extension services. • Demographic shifts. Anecdotal evidence suggests that regional wine drinkers are younger and more open in their approach to wine. 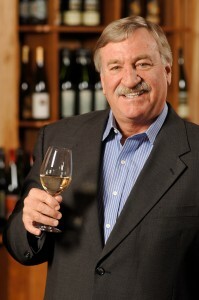 John Gillespie, who oversees the Wine Market Council, says these consumers are focused on quality, but in their own way. As such, the fact that regional wine may be too sweet or too odd-tasting for the Winestream Media isn’t as important to them. And they seem to be the group taking the most advantage of wine tourism. Yet what should be regional wine’s most important ally has been lukewarm in its support. The local food movement, despite some exceptions, has yet to embrace local wine, and these locavores are often more likely to expound the virtues of locally-produced beer — and even whiskey. This, in fact, may be the obstacle that is the most difficult for regional wine to overcome. If the choir doesn’t want to listen to the preacher, how does the preacher get his point across to people who aren’t in the church? This is where regional wine has the most to gain. Imagine a wine world where consumers get their wine information and education not from magazines and critics thousands of miles away, but from a winery just hours away. Imagine a wine world where consumers drink what they’ve liked, and not what someone tells them they should like. Imagine a wine world where varietal isn’t as important as what the wine tastes like. It’s enough to make someone like St. Louis-based wine director Bardgett almost giddy. “I don’t think anyone has any clue about the possibilities here, about where this is leading us when it comes to wine,” he says. That will be the next challenge for regional wine. Jeff Siegel writes the Wine Curmudgeon blog, is the wine writer for Advocate magazines in Dallas and freelances about wine for a variety of regional and national magazines. His philosophy is simple: The wine industry tries to intimidate consumers instead of educating them—and nuts to that. Wine should be fun, not intimidating. Wine Retail in 2010: Hopeful Reactions from Across the U.S.
thank you New york wine and grape and thank Long island Wine Council for representing us in the field of the world. One of the unfortunate things about the three-tier system as it relates to regional wines is that what should be the environmental benefits of buying local or regionally are obliterated. As long as the wines aren’t available as conveniently as California’s are, people will drive their not terribly efficient vehicles to the wineries to buy. Or order and have it delivered by Fedex or UPS. That’s an awful lot of carbon emissions per bottle. Actually, some states HAVE adopted wine in the local food movement. 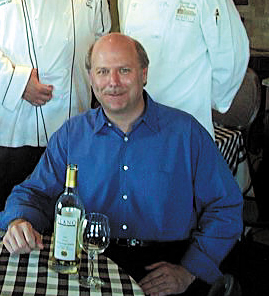 The Michigan wine industry is growing annually, in part because of the local foodie movement. 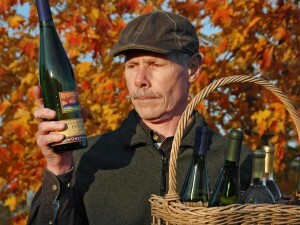 I am active on twitter and facebook and “support local” is mentioned often when discussing MI wines. We also have an added benefit of a great state tourism campaign that promotes the state, often showing our wineries as a destination. Michiganders (as well as other mid-westerners) are becoming more educated about wines and are still drinking local! Thats says a lot. really like the article Jeff and overall I’m on the same page with you. The younger wine consumers are more open about trying new varietals and testing the waters of regions that were until recently relatively uncommon to most. distributors want piece of those sales. If that happens, the financial picture for regional wineries will be significantly impacted. If people are forced to buy their local wines through retail distribution rather than direct from the winery, this will certainly affect their business. Small wineries can’t handle the volume that many distributors require and they certainly will find the cost of distributing too high, hurting their bottom line all the way around. Regional wineries do have a bright future all over the States and it’s great to see how we have come in a relatively short time. But with increasing sales, the big guys will keep fighting for a cut. We gotta stay on top of it. Having just returned from Indiana and Kentucky where the local grapes make some good and not-so-good wines, the regional flavors will remind me of the area each time I open the bottle. Some wineries can ship and others can’t and that doesn’t help those interested parties whi really want to expand their palate experience beyond the West Coast. As part two of the three tier system (wine wholesale), I can tell you that the hardest part is getting people to just TRY regional wine. I recently got a bottle of North Carolina wine onto a by-the-glass list at Vintner Wine Market here in Charlotte. The bartenders there have told me that once they get someone to try a sample of it, they almost always buy the glass – but so often getting someone to drink a FREE sample of the wine is challenging! The stigma that the author speaks of is in full force here – the only place that it’s easy to get people to drink NC wine is at NC wineries or NC wine festivals!